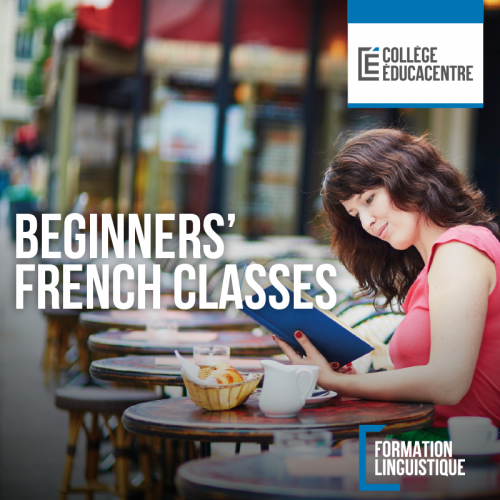 The course is designed for adults who want to learn or/and improve their French. The subjects and theme of the course will depend on the particpants level (see below). A free written and oral test will be completed in order to determine your level. Upon completion of this course the successful student will have reliably demonstrated the ability to communicate in French using simple short sentences. The College will provide an exercise book to the students. The course will only take place if we have at least 4 registered students. 20 hours/2 hours per week. Articles définis (le, du, au, à…) et indéfinis (un ,des). Role play on the phone. Order food, talking about meals. Talking about its schedule, life. Be able to give time. => Grammar : Futur proche and conditionnel. => Vocabulary : Weather, sports/games, education/ school, food/meals, geography, arts (music, cinema…), commute/transportation. The course will only take place if we have at least 6 registered students. Talking about itself and others, introduce itself with more details (role play). Express its feelings + introduction of conditionnel and subjonctif. Talking about health and parts of the body. Conversational talks by phone (professional and pesonnal). Express its own opinion on society, technology etc. => Grammar: Past tense, le conditionnel, le subjonctif, interrogations (qui, que quoi, où), irregular verbs (faire, prendre), using pronoms « en » and « y », impératif (giving orders). => Vocabulary: common expressions, idioms, work, personnal/everyday life.